Robert McDonald, head of the Veterans Administration, claims he’s making “great progress” delivering health care to vets and turning around the agency’s mismanagement and corruption. Don’t believe him. Right now, more than 35,000 combat vets who are automatically eligible for VA care are stuck on hold because the enrollment process is broken beyond belief. It’s been going on for years. A new Inspector General’s report shows the VA system can’t even tell when an applicant has died, or when the VA has mistakenly erased an application before it can provide any help. These flaws have harmed hundreds of thousands of veterans. The IG report concluded that the VA lacks the management “to ensure the consistent creation and maintenance of essential data.” Any company with that problem would go out of business – and its CEO would be looking for another job. Why isn’t McDonald? His cluelessness was on display at a recent Senate hearing, where he boasted that he’s holding VA cheats and incompetents accountable. It’s clear he has no handle on his own agency’s data. Anyway, a mere three people have been fired over the highly publicized waitlist scandal, according to Washington Post fact-checkers. And don’t count on more firings. McDonald told the senators he opposes any changes to the law to make it easier to fire VA employees. “I think I have the tools I need,” he says. Really? A full 110 VA facilities were implicated in manipulating waitlists – so why only three firings? Neither Congress nor the American people are getting a straight story from McDonald. Rep. Dan Benishek (R-Mich.), head of the House subcommittee on veterans health care, warned Saturday that “it’s hard to trust” McDonald’s claims of success. Especially when he’s talking about the Choice program. Congress created Choice a year ago to help vets escape deadly waitlists and see civilian doctors on Uncle Sam’s tab. But McDonald appears to be sabotaging it. 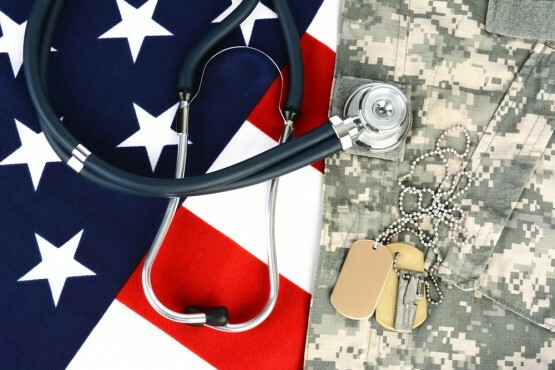 More than half of vets – 54 percent – still haven’t heard of it. Blame McDonald – who joined the VA after running Procter & Gamble, which turned Tide and Pampers into household names. He knows how to make Choice a household name if he wanted to. Instead, he’s raiding the program’s funding to pad the VA workforce and pandering to the public-sector unions that want Choice to fail. McDonald needs to go, before more vets die needlessly. Last week, it came to light that vets in Minnesota with suspected traumatic brain injury – a signature of the Iraq and Afghanistan battlefields – are being denied exams by specialists and falsely told they have no brain injury. The presidential contenders have barely weighed in on the problems at the VA. Ben Carson suggests eliminating the whole agency – but that’s not a realistic approach; veterans’ groups totally oppose it. Jeb Bush pledges to eliminate “billions of dollars in waste, fraud, and abuse.” That’s just political boilerplate. The biggest defender of the VA status quo is Democratic contender Bernie Sanders. Despite his public vows to help vets, he worded last year’s VA-reform law to protect union jobs.